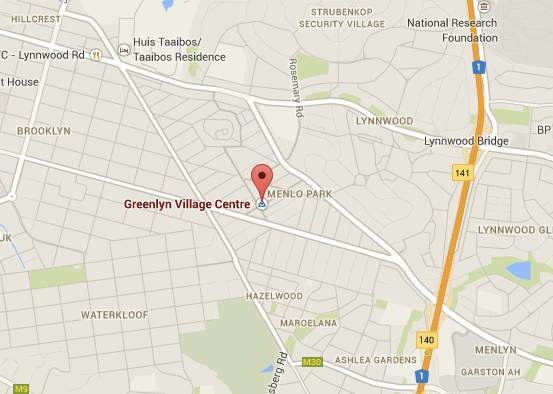 Our weekly Saturday morning highlight is the Hazel Food Market, Pretoria which takes place at the Greenlyn Village Centre in Menlyn. And luckily for us, it is very close to where we’re living whilst here: about 20 minutes on foot or 5 minutes by car. It isn’t a very big site, but all the stalls are arranged around a central seating area under the trees. As you can see from this picture, space is at a premium and if you can find a spot, you need to grab hold of it! The Hazel Food Market is very popular, and gaining popularity each week, especially since it made it into the national media. One of the things I really love, is that you end up sharing tables with strangers, so it can end up quite a social affair. Sharing tables is not something that South Africans generally do. It’s uncommon for someone to ask to share you table at an outdoor seating area, so it makes for an interesting change. The stalls are inviting and varied. 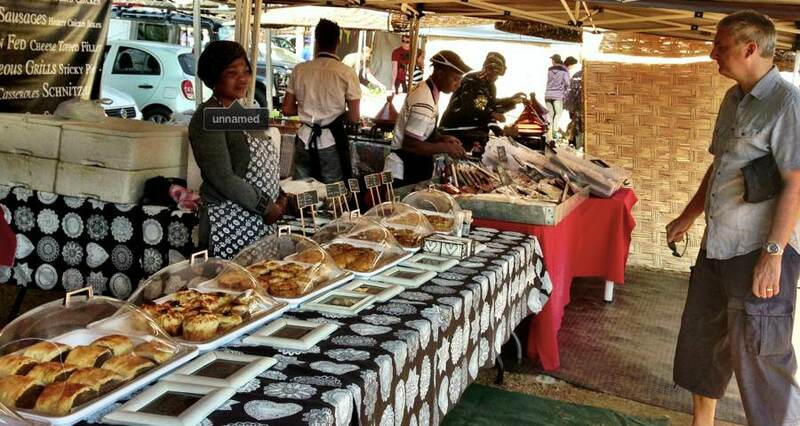 From traditional South African food, to exotic imports from Mozambique, Morocco, Greece, China and more. One of my favourite South African treats remains ‘pannekoek’ (pancake) . I know that what we call pancakes, are not what the British or Americans call pancake … but the South African version is similar to a French crêpe, generally served with cinnamon sugar. 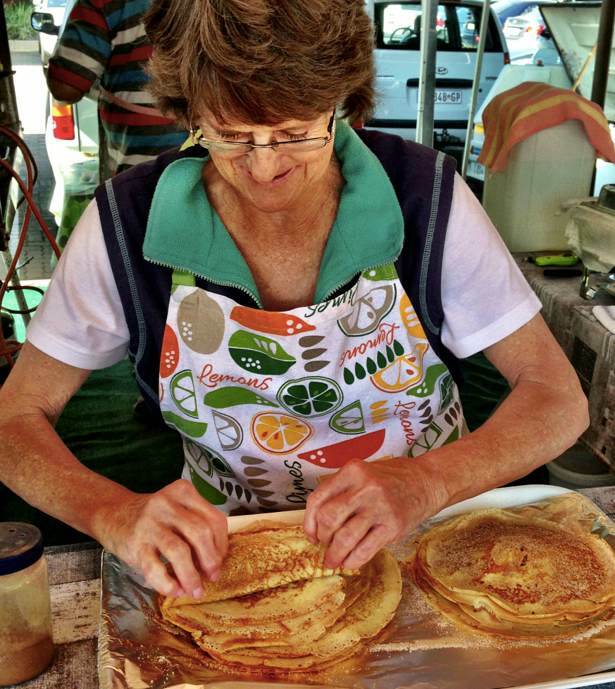 They are commonly found at the annual church bazaar (fete), and the Afrikaans ladies remain masters of the pannekoek! 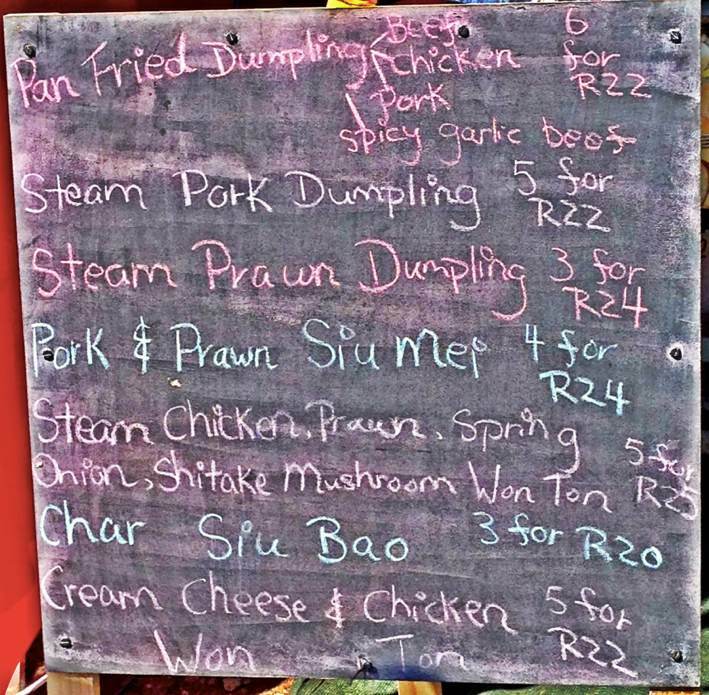 One of these will set you back R5.00 (about 35p). And be warned: they are incredibly more-ish! I could easily gorge on these … so I generally allow myself to only buy one at a time! 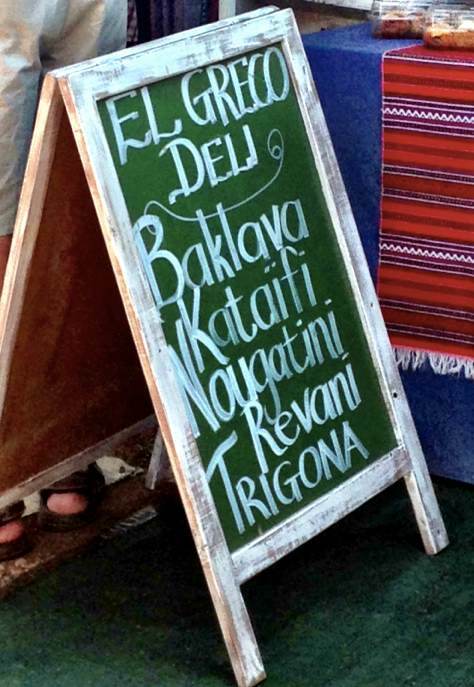 I have to admit to not having tried the Greek food yet. But then again, we are still here for a number of months! 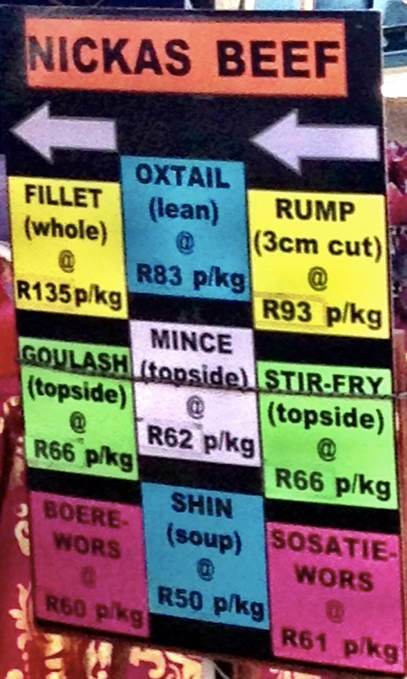 Beef is very cheap in South Africa, as you can see from this board advertising the cuts available. Whole fillet costs less than £10/kg and rump £6/kg! It is no wonder that South Africans are such big red meat eaters! One of my other recommendations, is the Indian man who makes a delicious braai (BBQ) rub and his own Garam Masala. But be careful, he is heavy handed, so before you know it, you’ve spent R400 (£26) on spices! Of course, there is so much choice, and you cannot try everything. Each week we do a circuit before choosing what to sample, whether to eat there and then, or to take-away. 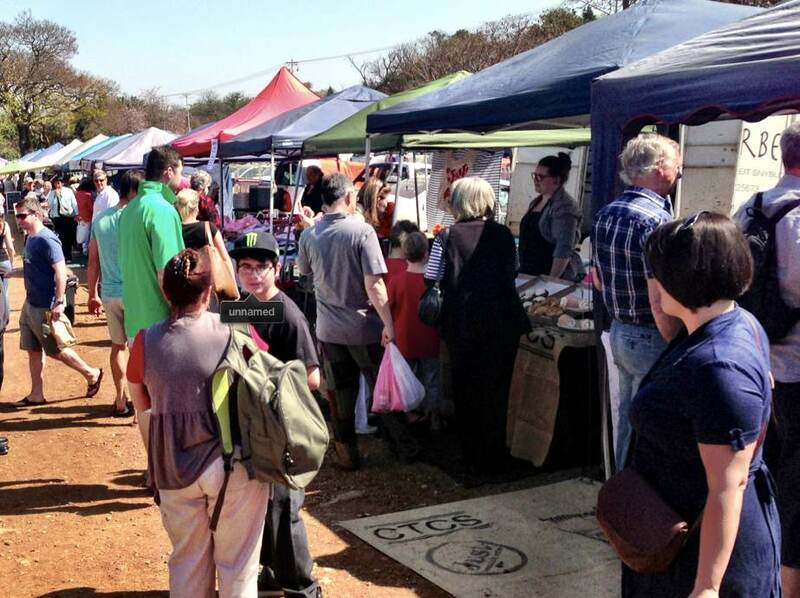 Every month, they have a Candlelight Market, the next one being on 5th October from 5pm – 9pm. I have never been to one, but really looking forward to it. If you’d like to follow our 4-5 month South African experience, either subscribe to our newsletter, or follow us on Twitter: @LiezlHesketh or @TimHermolle.